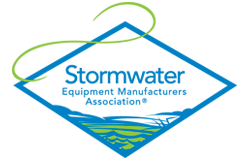 Products designed to retain, capture or hold back floating debris and pollutants commonly found in stormwater. These products may come as a complete system, installed in existing structures or attached to discharge pipes. As storm water runs down roads and into storm drains it brings with it an undesirable volume of trash and debris. Stormwater trash / debris netting traps are used to capture trash and floatables from the end of sewer overflows and stormwater outfalls. These systems rely on the force of flowing water to trap floatables in disposable nylon mesh bags of varying mesh sizes and storage volume.